Members can listen to Tom’s show, “Garden Groove,” by logging on to http://icrvradio.com and clicking on “Play Live Radio.” The show plays live from 9:30 to 10:00 a.m. on Wednesday mornings. 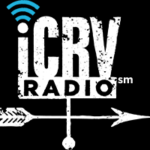 Past shows are archived at http://icvradio.com/programs/program/31. You may recall that 2017 was a professionally outstanding year for Tom as he and co-author Larry Weaner earned a Book Award from the American Horticultural Society for their outstanding book, “Garden Revolution.” Later that year, Tom was presented the Connecticut Horticultural Society Mehlquist Award.